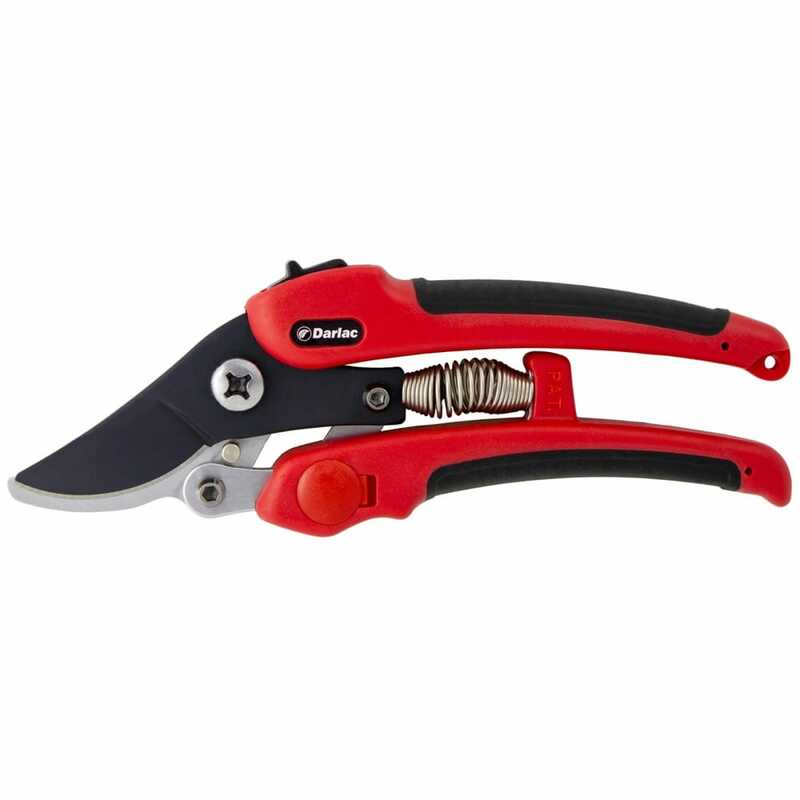 The Darlac Compound Action Pruner is perfect for the keen gardener, with unique lever action to provide substantial additional power. The lever action increases the users capability, giving an easy cutting action even when the growth is tough. The SK5 carbon steel blade is coated for rust resistance and also reduces friction. and easily sharpened when necessary. The contoured handles have soft TPR grips for comfort and safety and the catch is thumb operated by simply squeezing the handles slightly and move the catch backwards to open. Showing 3 of our total 5 reviews, with an average rating of 5 stars. Read all 5 reviews for Darlac Compound Action Pruner. The best and easiest secateurs I have ever used in my 70 odd years of gardening. Brilliant design and so easy to use. No places for fingers to get pinched. They have a powerful and clean cutting action. At this price, they are excellent value for money. They are easy to use for big hands also. When the springs and blades need replacing looks like it will be an easy job to get them back to full cutting strength. What a bargain, especially good for small hands.